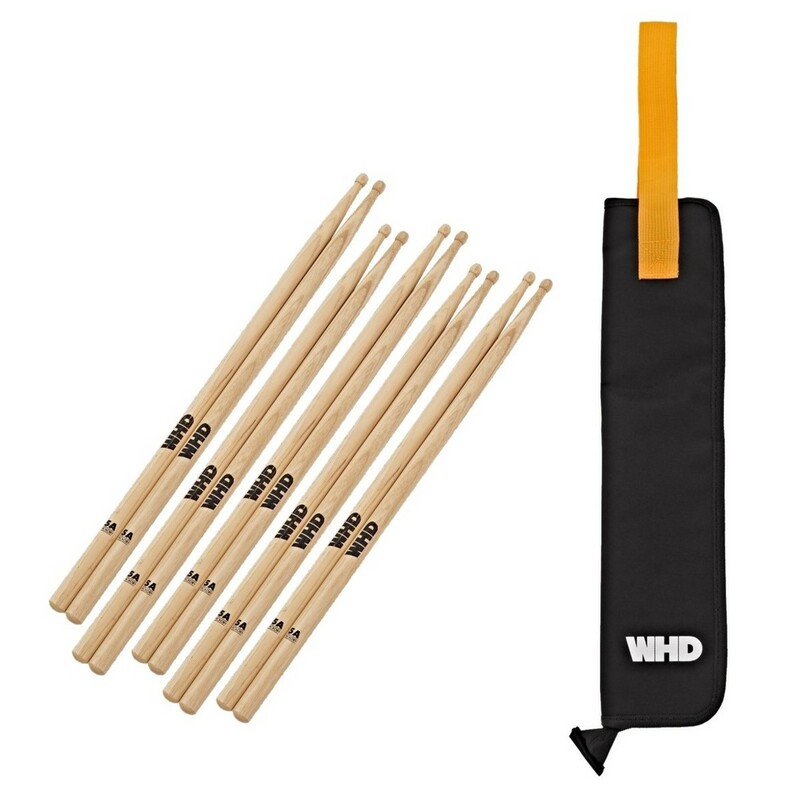 Featuring 5 pairs of WHD Drumsticks and a WHD Drumstick bag. 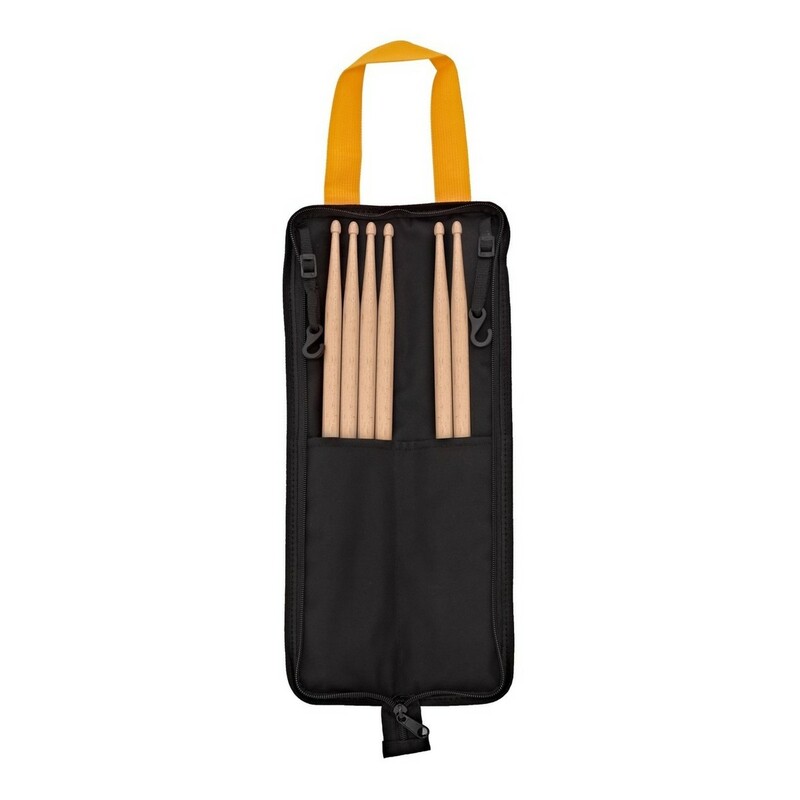 This bundle is ideal for drummers of all levels, whether you are a beginner who needs extra drumsticks for lessons or a gigging drummer looking for some extra sticks. Complete with a high quality bag for easy and safe transportation. 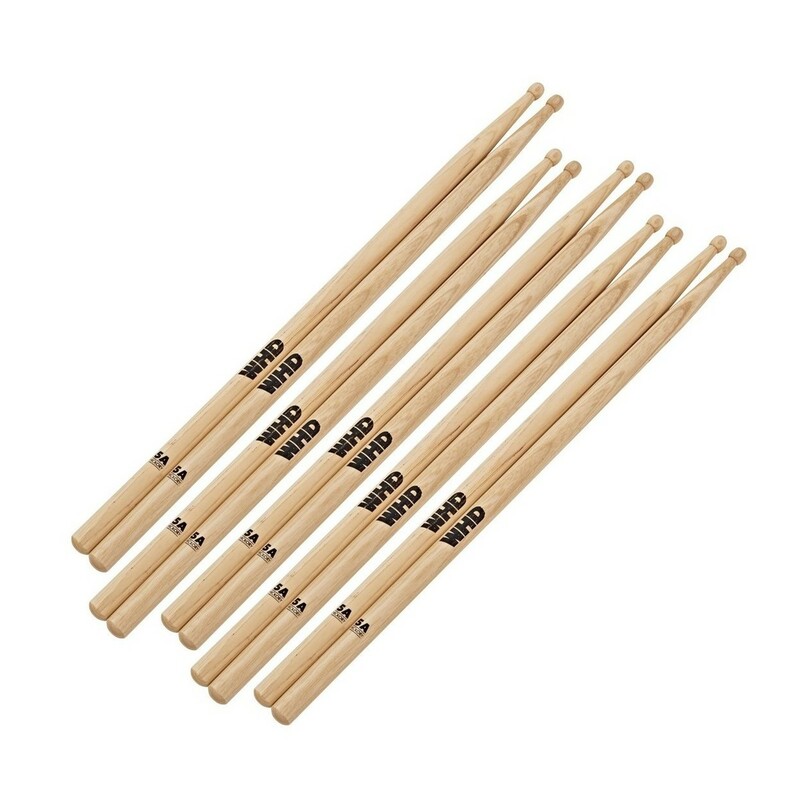 The WHD 5A Drumsticks feature solid hickory construction for a sturdy and reliable stick offering balanced weight and feel, the 5A size makes for a versatile stick, ideal for any genre. 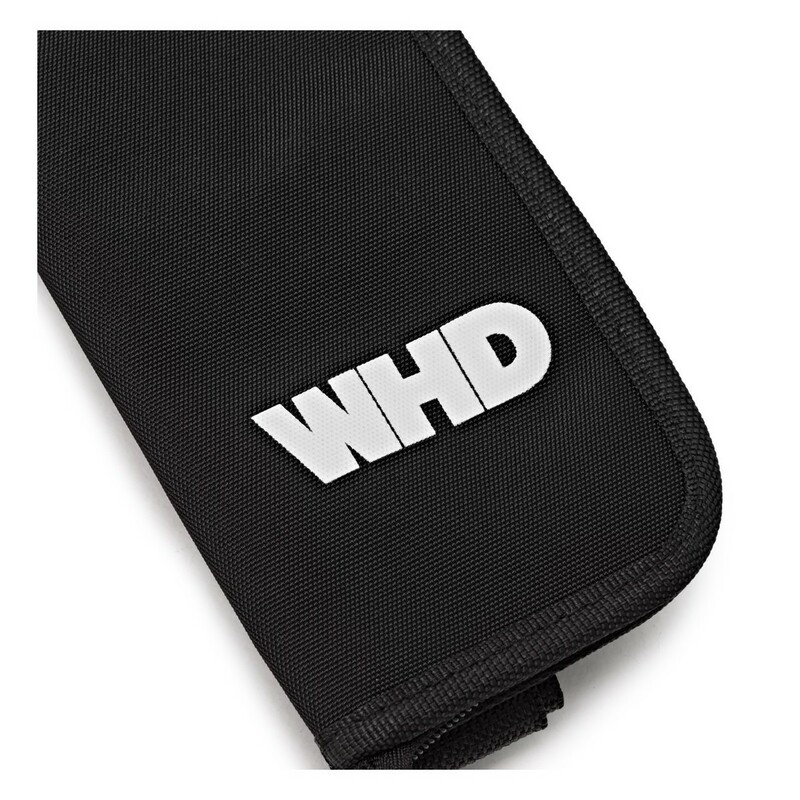 The WHD Drumstick bag safely holds up to 6 pairs of sticks, the durable woven strap and strong zip design make this bag ideal for the rigours of travelling. 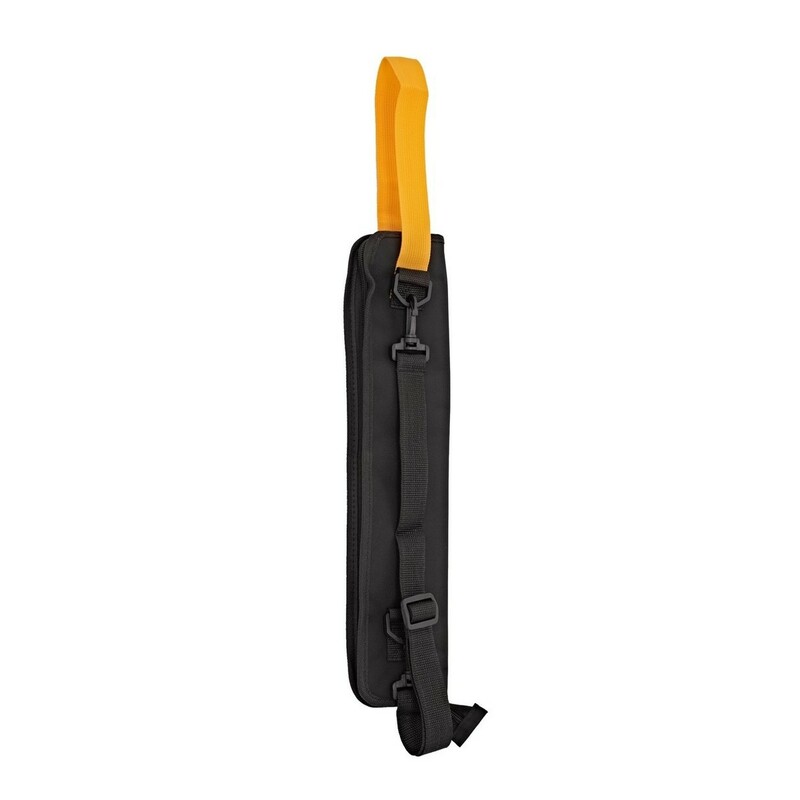 Internal hook straps are ideal to hang this stick bag from your drum kit whilst performing or practicing.